Wow, it’s been a couple o’ weeks since I posted – but it’s for good reason, I’ve been having too much fun! I got to hear Billy Joel play Wrigley Field while on a friend’s deck, visited my home state of Michigan to hang with friends & family and have been eating all the tacos and drinking all the margaritas. So, with that said, I’ve needed some quick recipes to whip up so I can spend more time soaking up the Chicago summer than being inside over a hot stove! 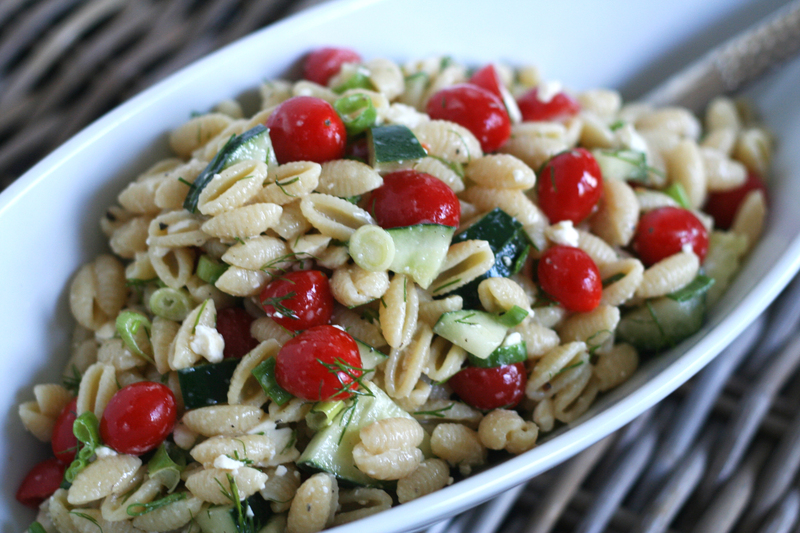 I stumbled upon this incredibly easy and really flavorful pasta salad that was a perfect side for the quick shrimp I grilled up for dinner. 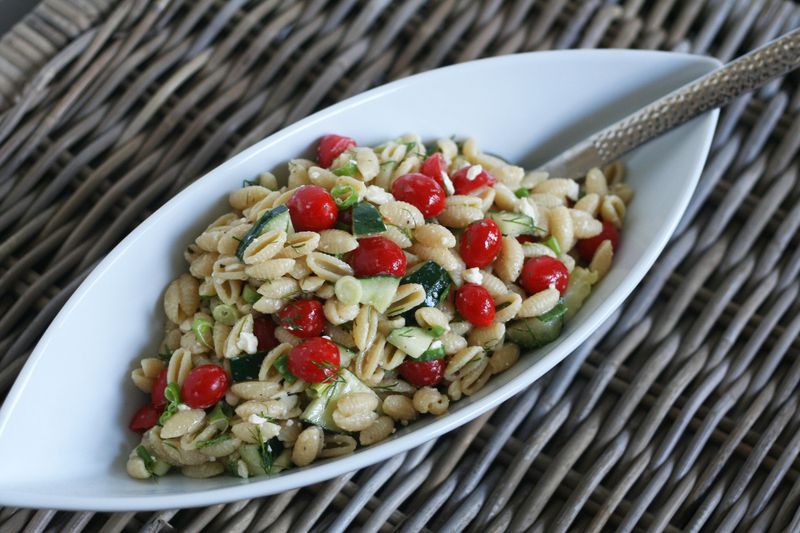 We totally loved this dish and it would be perfect for a summer potluck or outdoor BBQ. Oh, and it’s pretty. Yums. Bring eight cups of water (with salt and a dash of olive oil added) to a boil. Add the pasta and cook until al dente. 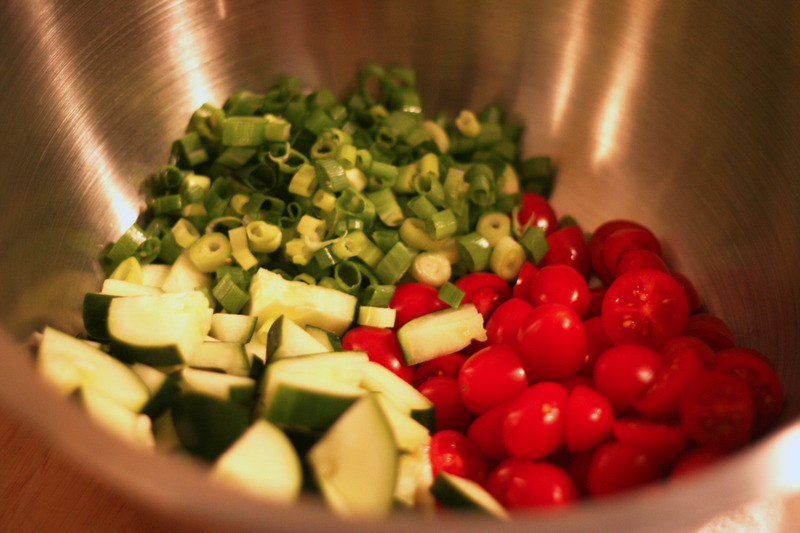 While the pasta cooks, whisk together the mustard, vinegar and some salt and pepper in a medium bowl until smooth. 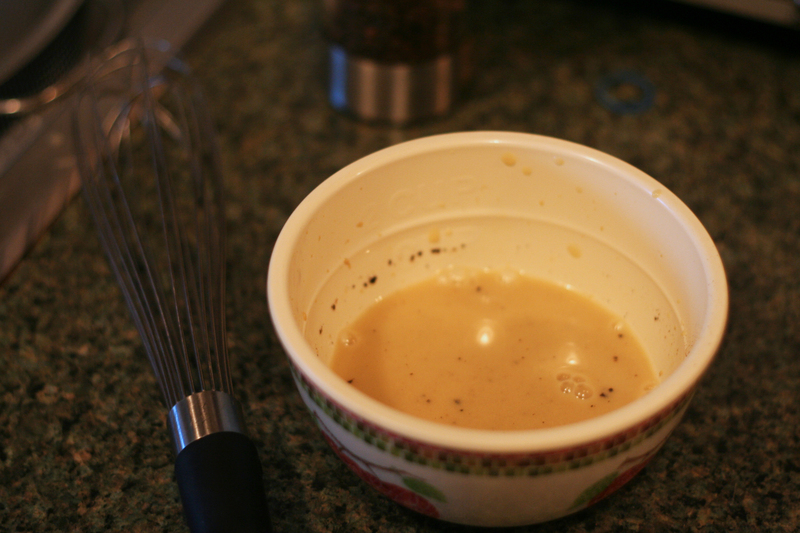 Slowly whisk in the olive oil until emulsified and set aside. I ended up making a bit more of the vinaigrette because the pasta I used was bigger than the orzo in the original recipe, so just have enough extra ingredients handy to adjust the dressing to your liking. 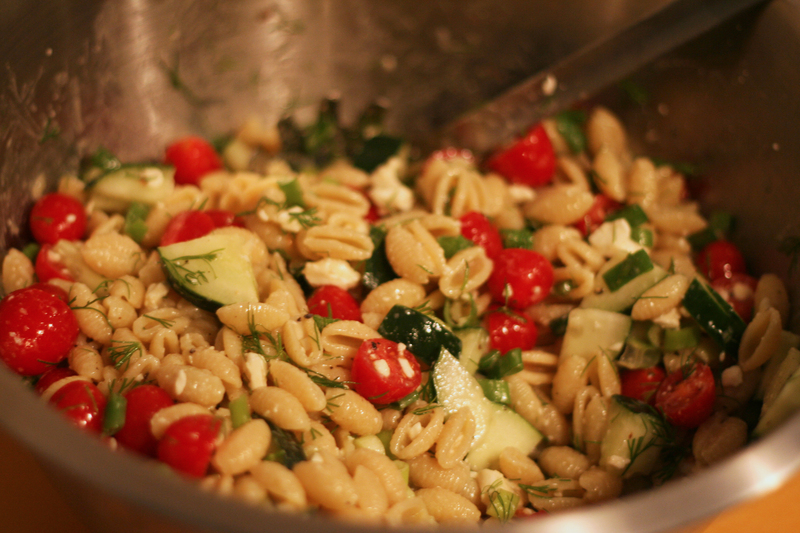 Next, combine the orzo, green onions, tomatoes and cucumbers in a large bowl, season with salt and pepper and toss to combine. 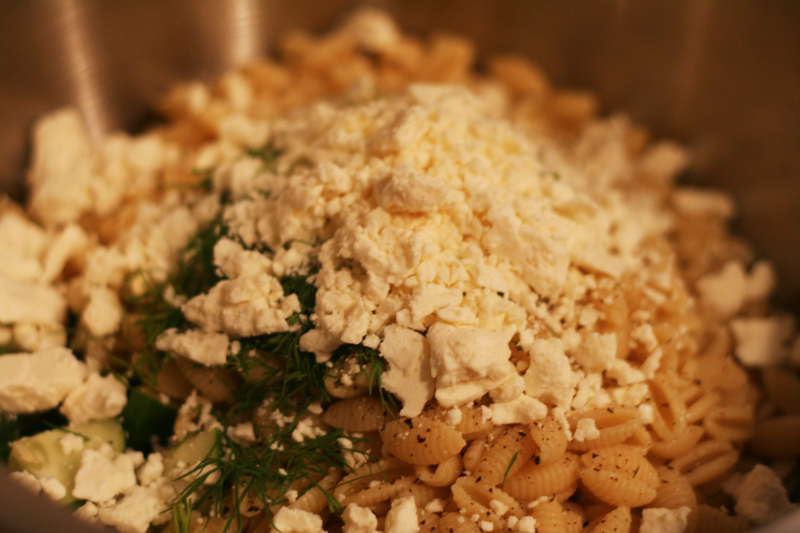 Scatter the feta and dill over the top. drizzle with the vinaigrette, and toss again. Finally drizzle with the vinaigrette, and toss again. Serve immediately, or chill for up to 8 hours. Original recipe from Bobby Flay.